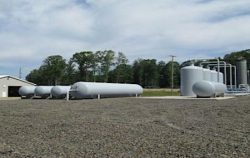 Fortistar LLC, a low-carbon energy generation company based in New York State, has in partnership with Ares Capital Corporation (Ares), acquired two landfill renewable natural gas (RNG) facilities, Greentree Landfill Gas and Imperial Landfill Gas, from EDF Renewables North America. 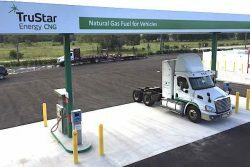 The purchase is in line with Fortistar’s Renewable Natural Gas development program announced one year ago. Located in Western Pennsylvania, the two facilities have the capacity to produce 1.5 million decatherms of RNG per year—enough to power 1,117 natural gas trucks and displace 12 million GGE of diesel fuel. Fueling trucks with Fortistar’s RNG, will reduce 107,485 metric tons of CO2 per year—equivalent to planting over 2.7 million trees each year.